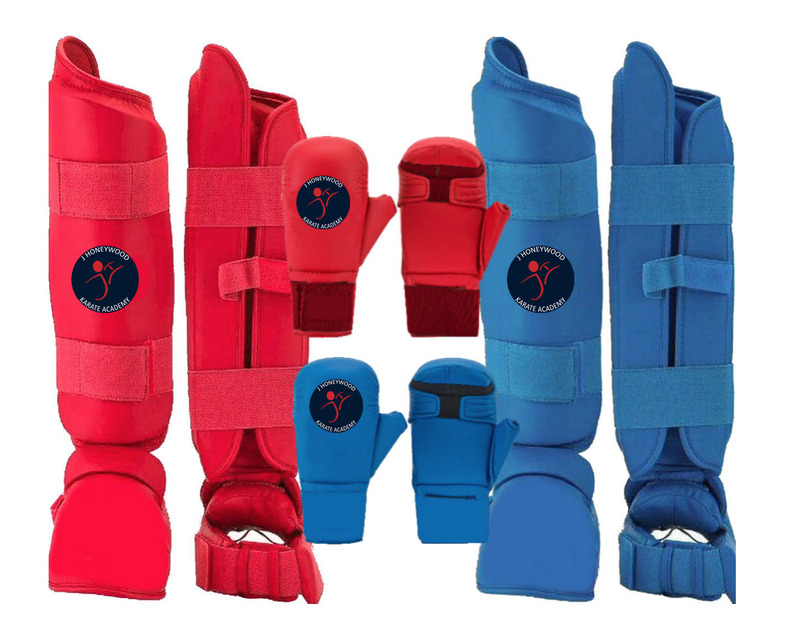 Shin and Instep Pads and Hand Mitts for beginners - Suitable for JHKA Club Training and competitions at beginner level. (Recommended for white belt to yellow belt grades). Select either the red kumite set or blue kumite set. Photo is for illustration purposes only. Kumite Kits are compulsory at yellow belt and above however lower grade competitions will require beginners to purchase these kits.